In today’s blog, something a little different as I look to give you an insight into burnout from a sport psychology perspective. The blog was originally a piece of course for my sport psychology module in my 3rd year of my Sports Science degree. The case study looked at Lorenzo (Lawrence) Bruno Nero Dallaglio who was born in Shepherd’s Bush, London in 1972. Dallaglio started the 2002/03 season fully fit and injury free and led London Wasps to the Parker Pen Challenge Cup and Zurich Premiership trophies. He was also a member of the 2003 England Grand Slam-winning team. However, greater things were to come in the year as Dallaglio and Co set out for the World Cup. LBND (Lawrence Bruno Nero Dallaglio), as he is called, astonishingly played in every England game during the World Cup and was not replaced once, culminating with World Cup victory over Australia in the final. Following Martin Johnson’s retirement at the close of the World Cup, Dallaglio once again took up the England captaincy, but after a further eight games as captain announced his retirement from international rugby. Following Dallaglio’s World Cup triumph with England, the additional eight games he had with England was a summer tour of Australia and New Zealand and then the Six Nations in the spring. During that period from the start of 2002/2003 until the Six Nations in 2004, he had not had a significant break away from the game. Burnout has become a problem in modern day elite sport, with players having more and more demanding schedules being placed upon them. However, this has only really been seen in the media spotlight since 2001 when looking at rugby. The first case was an Australian rugby league player named Brad Fittler in 2001. The first sign of burnout in Dallaglio’s downfall and ultimate decision to retire starts with Kentta & Hessman (2001) process of overtraining shown in Appendix A. As international players of the like of Dallaglio have to play more and more games, there is a correlated increase in the training requirements. This increase has a knock on effect causing a negative impact on training and thus creating the downward spiral that is burnout. As a result of excessive training loads there is a culmination in staleness “A physiological state of overtraining which manifests itself as deteriorated athletic readiness” (American Medical Association, 1996, p. 126). As a result of staleness, the athlete performance will start to deteriorate and/or decrease from week to week. Gould et al. (1996a; 1996b; 1997) suggests that there are factors that are related to burnout. These are the ones that are influencing Dallaglio burnout. The situational demands that come with burnout are unavoidable for Dallaglio, an elite rugby player who must live day in and day out with these high demands and expectations from not only himself, but also the fans and media. With these demands comes the expectation of a high level of performance every time he turns out on the field, so he must increase training loads to be at his best. The physiological and psychological responses that come with burnout are to a certain degree manageable; however, fatigue and muscle soreness can come about even when a player is not suffering from burnout. On the other hand a decrease in concentration comes as a result of prolonged decrease in performance. The final response that is associated with burnout is behavioural and this is the final step where Dallaglio decides that burnout has become too much and he will withdraw from the sport that he loves. Creswell and Eklund (2003) state that burnout in the elite environment is down to reduced professional efficacy, heightened physical and emotional exhaustion, and a cynical view of the sporting experience shown in Appendix B. The heightened physical and emotional exhaustion is the most seen of the three in the media. It is used by many teams/players throughout the season when results are going their way, or they use this as an excuse before the game has even begun. When it comes to this theory, Dallaglio openly said that it was, because of heightened physical and emotional exhaustion that he quit international rugby; however, another symptom caused this withdrawal. The extreme training loads that he had to accomplish, combined with already being in a downward spiral, he is only digging a deeper hole from which to come out of. Creswell and Eklund (2006) shown in Appendix C, suggest that the symptoms of burnout are pre-empted by a number of scenarios. The first being a heavy training and competition load, the second being the competition transition from club to country, the third being the anti-rest culture and finally the pressure from the fans, the media and the player himself. The problem with competition transition in the northern hemisphere, particularly in England, is that both club and country want their best players to play in every match; however, this is not in the best interest of the player (however this isn’t the case anymore). To follow on from this, some players have a sense of anti-rest culture, and perceive having a rest as a sign of weakness and letting others get a step on them. Gould (1996) argued that athletes risk burnout when they lost motivation, which would not be helped by decrease in form. Creswell has discovered that burnout is more of a problem in the English game as opposed to the one in New Zealand, because of these issues throughout a season. Scheduled games: there were 44 in England during the specified period and only 35 in New Zealand. Training: Players in England were training for between 1½ and 2½ hours more than their NZ counterparts per week. The NZ players also often had “shorter, sharper and smarter” sessions. The main consequences of the symptoms of burnout are players being dropped from squads due to prolonged dips in form. The players are then having to deal with the added stress of underperforming as well the possibility of being dropped. The consequences of player burnout have become so great that it is having an impact on player’s careers, either cutting them short due to the stresses of burnout and/or due to increased levels of injury. A further explanation for the athletes reporting symptoms of burnout at season’s end may be due to overtraining and lack of recovery following the previous competitive season (Kellmann, 2002). However, Dallaglio himself only really suffered from a decrease in performance while he was captain of England during a poor run of form in the Six Nations in 2004. As a result of not having a rest from the high demands of international rugby for nearly two years, he decided to retire from the international game. He could possibly be given some time off from training to limit the effects of burnout in training where it is most common. Furthermore the international coaching staff should like their New Zealand counterparts adopt training sessions that are “shorter, sharper and smarter” as described by Creswell (BBC Sport, 2007a). To deal with the increased level of stress as a result of getting burnout, the player would need to be given some anxiety management techniques. 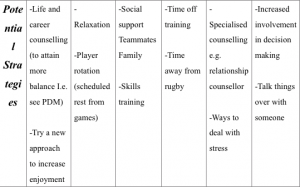 The management staff would need to implement a cognitive appraisal (Lazarus, 1991) for Dallaglio, whereby he would not worry about the negative effect of burnout, he would look at the positives and use it as a challenge to overcome. Also to help Dallaglio overcome this, the staff could also get him to use the SDT (Ryan & Deci, 2002) which in turn would raise his motivation to compete in the game he loves. Lemyre et al. (2008) suggests that while high motivation in athletes is an important asset in achieving elite performance, the quality of the motivation is the key (Lemyre et al., 2006) and coaches should adopt support and training structures that foster self-determined motivation in elite athletes (Vallerand, 2001). However, Creswell and Eklund (2003) theory does not fully agree with Lawrence Dallaglio’s comments that the responsibility is with the players. It is believed it should a 50/50 split between the player and the club. However this would still depend on each individual athlete. Burnout can never truly be stopped from occurring; however, clubs can and have implemented squad rotation thus reducing player burnout and getting the best performances out them. It is more a case of prevention than intervention; however, to keep it in the prevention management stage, staff would need to catch it early. The only way in which strategies for dealing with burnout can be truly evaluated. Would be through either observation of athlete in training and competition, interviews with the player, teammates and/or coaching staff or Raedeke & Smith (2001) Athlete Burnout Questionnaire to final see if the athlete has totally got ridden of burnout. Cresswell, S.L., & Eklund, R.C. (2003). The Athlete burnout syndrome: A practioner’s guide. New Zealand Journal of Sports Medicine, 31(3), 4-9. Cresswell, S.L., & Eklund, R.C. (2006). 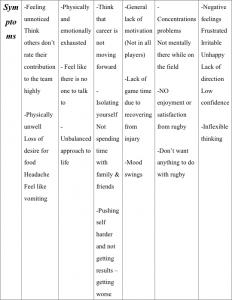 The nature of player burnout in rugby: Key characteristics and attributions. Journal of Applied Sport Psychology, 18(3), 219–239. Gould D. (1996). Personal motivation gone awry: burnout in competitive athletes. Quest, 48, 275–289. Gould, D., Tuffey, S., Udry, E. and Loehr, J. (1996a). Burnout in competitive junior tennis players: II. Qualitative analysis. The Sport Psychologist, 10, 342-366. Gould, D., Tuffey, S., Udry, E., & Loehr, J. (1997). Burnout in competitive junior tennis players: III. Individual differences in the burnout experience. The Sport Psychologist, 11, 257-276. Gould, D., Udry, E., Tuffey, S., & Loehr, J. (1996b). Burnout in competitive junior tennis players: I. A quantitative psychological assessment. The Sport Psychologist, 10, 322-340. Hall, H.K., Cawthra, I.W., & Kerr A.W. (1997). 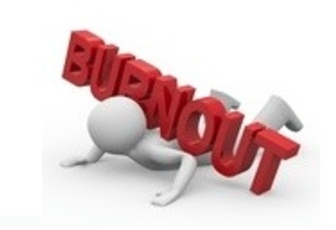 Burnout: motivation gone awry or a disaster waiting to happen?. In: Lidor R & Bar-Eli M, (Eds). 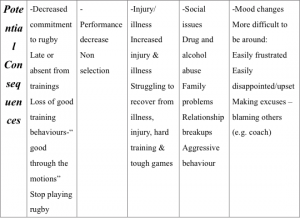 Innovations in sport psychology: linking theory and practice. Proceedings of the 9th ISSP World Congress in Sport Psychology, Vol. 1 (pp. 306–308). Netanya, Israel: Ministry of Education, Culture and Sport. Kellmann, M. (2002). Enhancing recovery: preventing underperformance in athletes. Champaign, IL: Human Kinetics. Kentta, G., & Hassmen, P. (1998). 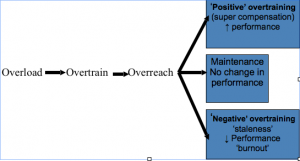 Overtraining & Recovery: A conceptual model. Sports Medicine, 1, 1-16. Lazarus, R. (1991). Emotion and adaptation, 1991, New York: Oxford University Press. Lemyre, P.N. (2005). Determinants of burnout in elite athletes: a multidimensional perspective. Oslo, Norway: Norwegian University of Sport and Physical Education. Lemyre, P.N., Hall, H.K., & Roberts, G.C. (2008). 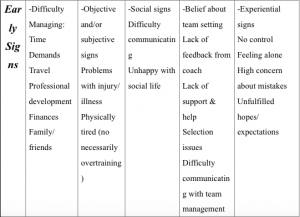 A social cognitive approach to burnout in elite athletes. Scandinavian Journal of Medical Science in Sports, 18, 221–234. Lemyre, P.N., Roberts, G.C., & Stray-Gundersen, J. (2007). Motivation, overtraining, and burnout: Can self-determined motivation predict overtraining and burnout in elite athletes? European Journal of Sport Science, 7, 115 – 126. Lemyre, P.N., Treasure, D.C., & Roberts, G.C. (2006). Influence of variability in motivation and affect on elite athlete burnout susceptibility. Journal of Sport Exercise Psychology, 28, 32–48. Raedeke, T.D., & Smith, A.L. (2001). 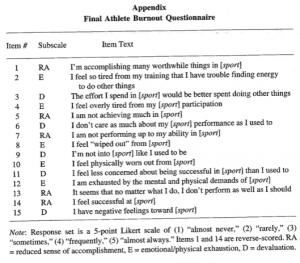 Development and preliminary validation of an athlete burnout measure. Journal of Sport and Exercise Psychology, 23, 281-306. Ryan, R.M., & Deci, E.L. (2002). An overview of self-determination theory: An organismicdialectical perspective. In E.L. Deci & R.M. Ryan (Eds. ), Handbook of self-determination theory (pp. 3-33). New York: University of Rochester Press. Vallerand, R. J., & Rousseau, F. L. (2001). Intrinsic and extrinsic motivation in sport and exercise: A review using the hierarchical model of intrinsic and extrinsic motivation. In R. N. Singer, H. A. Hausenblas, & C. M. Janelle (Eds. ), Handbook of Sport Psychology (pp. 389-416). New York: John Wiley & Sons. Weinberg, R.S., & Gould, D. (2003). Foundations of sport and exercise psychology. Champaign, IL: Human Kinetics. Having some of these early signs now and then is normal, but if you have several or if they continue please speak to someone- it could your manager or physio. Having some of these symptoms now and then is normal, but if you have several or if they continue please speak to someone- It could be your manager or physio. PS: I’d love to know if you found this blog helpful, a good one to look at would be especially stage 3: potential consequences, hit me up in the comment section or alternatively drop me a message. I answer every email, just ask. Furthermore, if you were a fan of this blog then why not check out this podcast with Professor Steven Mellalieu on athlete wellbeing. PPS: If you liked this blog and want it to show up in your inbox sign up below. Not forgetting to comply with the European Union implementing the new General Data Protection Regulation (GDPR). In order to comply with this order, we’re required to verify and confirm your intent to receive our weekly newsletter and the special offers and discounts we occasionally mail out. You can find more information about this in the privacy notice. In 2008, double amputee Oscar Pistorius of South Africa successfully lobbied for the right to race on carbon fiber blades in IAAF events, including the Olympic Games. 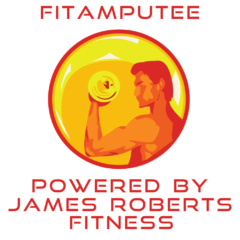 Four years later he became the first amputee to run against able-bodied competition at the Olympics when he competed in the 400 meters in London. This year German long jumper Markus Rehm attempted to qualify for the Rio Olympics, but officials, concerned that his artificial leg conferred an unfair advantage, did not permit him to compete. Half a century after the first Paralympic Games, in Rome, in 1960, the distinction between disability and ability is disappearing. 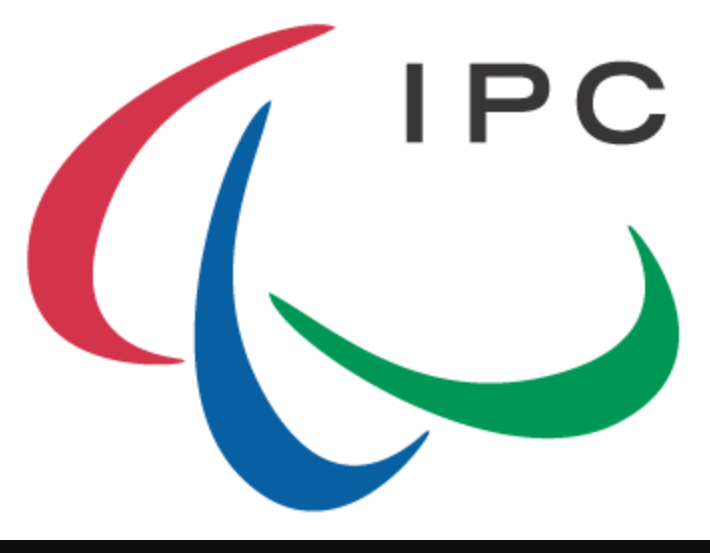 Speaking from personal experience, the classification system that is place in Paralympic sport is an absolute mine field, as I competed in 3 different sport throughout my 10 years career. I could tell you why someone is in that particular classification in a sport I did, but couldn’t do the same if it was the same disability in a different sport and that is probably why it is to complex of system. In this latest blog, I caught up with Dan Highcock who is now an online training, nutrition coach as well as being a professional wheelchair basketball player in Spain. 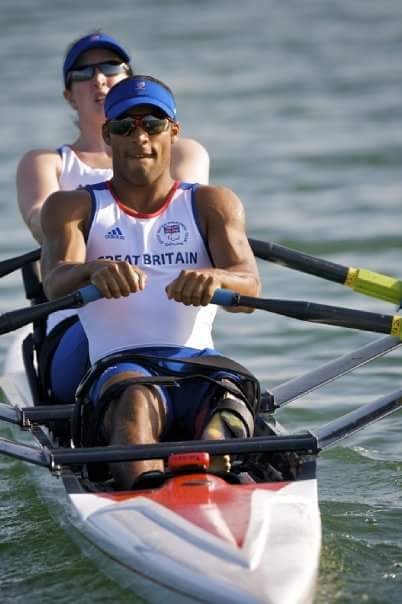 Not only that Dan and I also competed alongside each other at London 2012 for ParalympicsGB, though not in the same sport.